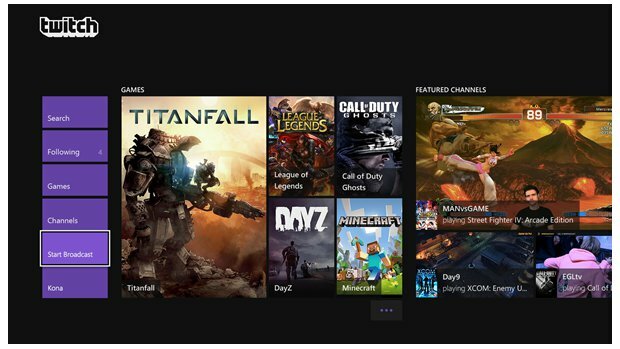 Xbox One owners will be able to download a new Twitch app starting on March 11th. The updated app will allow players to broadcast their gameplay in real-time for the first time. The Twitch app actually launched alongside the console in November along with Snap and Achievements support. However, it only allowed players to watch others' streams. Xbox One owners who wanted to share gameplay footage had to manually record it with their console's DVR and then edit it in Upload Studio. XB1 gamers can start their Twitch stream by saying "Xbox, Broadcast." Viewers can leave comments on a 10-line text chat stream. They can also jump into a broadcaster's game if it's multiplayer. 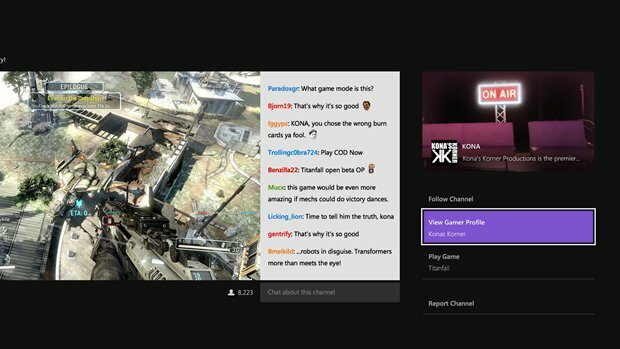 Microsoft notes that, unlike the PS4's Twitch app, the XB1 app enables players to archive their broadcasts and view streams from different devices. PS4 gamers can only watch footage from other PS4 owners. March 11th is a significant date for another reason: it's the North American launch date for multiplayer shooter Titanfall. Titanfall is arguably the biggest Xbox One release to date and Microsoft has taken many steps to ensure that the XB1 version is a hit. They've released a special edition controller inspired by Titanfall and are bundling the game with their console. Next month they'll also release a system update to rework the party system in preparation for Titanfall's online play. 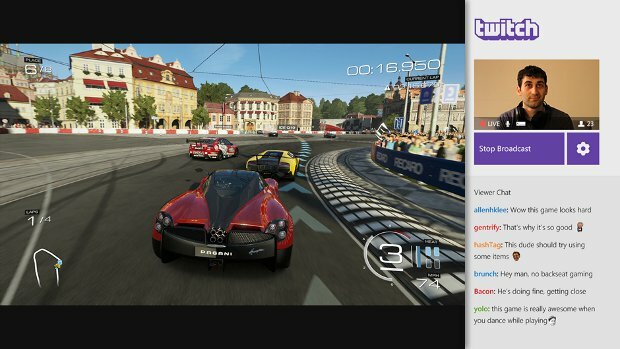 The XB1 broadcasting should provide a huge boost to Twitch's user base. Twitch announced in January that 20% of its broadcasts between December 23rd and January 3rd were from PS4 owners. Over 1.7 million streams were broadcast through Sony's console since its November launch. Gamers on the PS4 clearly took advantage of the integrated broadcasting and it seems likely that Xbox One owners will do the same. Titanfall should be a particularly popular option for broadcasters. Microsoft said today that Titanfall streams peaked at 65,000 concurrent views on February 13th. There's a huge amount of hype surrounding the game so you can bet there will be plenty of gamers tuning in to check out the full game after it hits stores.